Become a member and/or donate? Would you like to contribute with your experience, knowledge and work to our association? If yes, we are happy to welcome you as an (active or passive) member. The membership starts with 20 EUR per annum. You have to fill in the membership form (see below). We will confirm your membership per email. The annual membership starts the 1st of January and ends December 31st. Your annual quota will be charged to your european bank account every 1st of February. If you start your membership after a 30th of June, you pay the half of the membership quota. As a member, you have a right to attend the annual general meeting. This happens often end of the year. If you want to quit your membership, you just have to write us an email. Paid quotas cannot be refunded. Here you find the membership regulation. If you want to make us a donation, you will find our bank account further below. You can also click on the "SPENDEN" button and donate online. 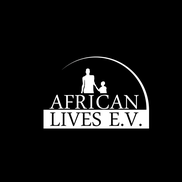 We from African Lives are all volunteers and do not get paid any fees by the Association. We try hard to get services for free and to get the best price for the little administrative costs we have. If you want more information on our finances and our activities, you can find our detailed reports unter the page "Der Verein" in this site or under "Transparenz". We welcome any comment or proposal you have to do things better. Your help is welcome and it gets to those who need it. Thanks!